Every year from the middle of NOvember, Zurich turns into a Christmas wonderland with SPARKLING lights on the streets, charming Christmas markets, traditional carols, smell of mulled wine and magical atmosphere all over the city. Fascinated illuminations and light shows are taking place in the inner courtyard of the Landesmuseum Zurich. 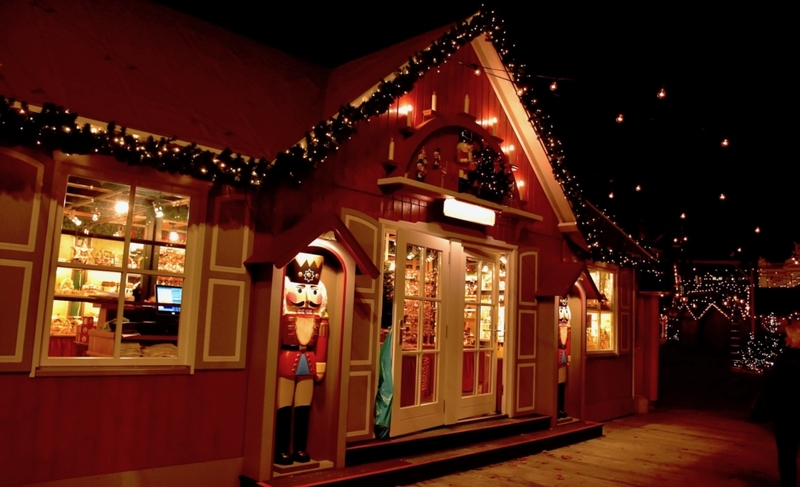 It is a great place for meeting with friends for a glass of Glühwein or magical show with kids. It is like a small fairy realm of illusions and mysterious mythical creatures. Beside many gastronomical treats and drinks, you can also have a cosy dinner at a transparent restaurant. Dates: 15 November – 30 December, 2018. Location: The inner courtyard Landesmuseum Zürich, Museumstrasse 2, 8001 Zürich, Switzerland. Working hours: 17:00 to 24:00 daily. Children (6 – 9 years): CHF 5. You can book your tickets for the shows on the official website. Getting there: The museum is located just across the main train station. By train to the Zurich main train station (Zürich Hauptbahnhof). By tram 4, 11, 13, 14, 17 or bus 46 to the “Zurich, Bahnhofquai / HB”. The Illuminarium is not suitable for people with photophobia. On November 22, 2018, at 18:00, the Christmas lights “Lucy” on the Bahnhofstrasse is turned on and the holiday season starts in the city. “Lucy” has been an annual tradition since 2010 during the Christmas season. The sparkling lights illuminate the Bahnhofstrasse with more than 12,000 crystals and twice as many lights. This beautiful shimmering dress turns the otherwise busy shopping street into the one of the most romantic streets in Zurich. During this evening, you can enjoy “Night Shopping”, as the shops are open until 22:00. In addition, the musical performances all over the city ensure a festive atmosphere. As every year, on November 23 the hotel invites guests and local residents to the Baur au Lac park to light up Zurich’s tallest Christmas tree with more than 70,000 lights, while enjoying mulled wine and biscuits. I think, it is a wonderful tradition and a great way to start the festive season. The park is always beautifully decorated, as the Christmas songs and traditional carols from the stage surely provide a festive mood. Time: 5:30 to 7:00 p.m. The tree lighting up at 6:00 p.m. sharp. Location: the park of the hotel Baur au Lac. A new way of celebrating the festive season is to gathering with friends on the Storchen Bar Tram. It is rolling through the city, offering a great selection of new and signature cocktails from Storchen’s bartenders. This sparkling one hour tour will certainly ensure a party mood and cheerful atmosphere. Time: Wednesday and Thursday, 6 p.m. and 7.20 p.m. Location: the trip starts at the Bellevue station. Price: CHF 25 per person including welcome Shot, excluding further drinks and food. The sits are limited. Make sure to make a reservation on the official website. However, you may hop on at Paradeplatz, if there is space left. ZURICH CHRISTKINDLIMARKT (CHRISTMAS MARKET) AT THE ZURICH MAIN TRAIN STATION (ZÜRICH HAUPTBAHNHOF). Dates: November 22rd – December 24, 2018. Sunday to Wednesday – 10.30 am to 9 pm. Thursday to Saturdays until 10 pm. Until 4 pm on December 24th. Location: On the ground floor of Zürich Hauptbahnhof (Zurich Main Train Station). Don’t forget to get some cash for shopping (for all Christmas markets). Be vigilant about thieves and pickpockets! It’s not just a market, it’s a cosy Christmas Village in front of the Opera House on Bellevue (Sechseläutenplatz). It is one of the biggest Christmas markets in Zurich and frankly one of my favourites. Around 100 huts are gathered together to form this festive Christmas Village. There is also a cool Fondue-Chalet with the bar and restaurant for a nice dinner with friends. Another great thing here is the ice-skating rink! Get your skates on and have some fun with a stunning view of the Opera House. For those who can’t skate there are plenty of the benches around the rink, so they can watch and take photos of those on ice. :) In addition, groups can try Bavarian curling, the game which is fun, and doesn’t require any skating skills. Dates: November 22 – Desember 23, 2018. Location: Sechseläutenplatz, in front of the Zurich Opera House. The Christmas market: Mon – Sat 11:00 – 22:00; Sun 11:00 – 20:00. The Chalet: Mon – Thus 11:00 – 23:00; Fri/Sat till 00:00; Sun till 22:00. The Ice-skating rink: Mon – Sat 11:00 – 22:00, Sun 11:00 – 20:00. Entrance to the ice-skating rink: Adults – 6 CHF; Children – 4 CHF. Skates Rental: Adults – 9 CHF; Children – 6 CHF. You may be interested how to organise a perfect winter picnic with at the Christmas market -> WINTER PICNIC, 5 SIMPLE STEPS. The Christmas market on the Niederdorfstrasse in the Old Town is the oldest Christmas market in Zurich. The Christmas lights on the old buildings and everywhere around tiny streets give the feeling of a fairytale. The market is not very big, but charming. Lovely place for walking and meeting with friends. Dates: November 22 – December 23, 2018. Monday – Saturday 11:00 – 21:00; Food stands until 22:00. Sunday 11:00 – 19:00; Food stands until 20:00. The Christmas market at Werdmuhleplatz is small, but famous with its Singing Christmas Tree. Different choirs entertain with Christmas songs. It can be easily found from the Bahnhofstrasse (just turn right before the MANGO store if going to the Hauptbahnhof direction). What is your favourite Christmas market? You are welcome to share your experience in the comments below. Above all, Enjoy this wonderful time of the year!